Honor Hispanic Heritage Month by taking action! 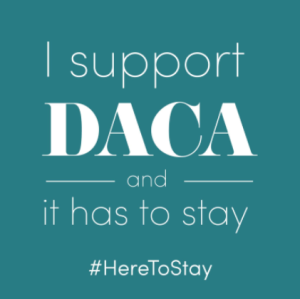 800,000 immigrant youth depend on DACA and are at risk of deportation unless Congress passes DREAM Act legislation. They are in school, and working hard. They are our friends, our classmates, our co-workers and our neighbors. It may be yourself. Sign up for one or more phone bank shifts to defend DACA. You’ll be calling community members and asking them to reach out to their legislators in order to protect DREAMers. You can also call your own legislators (from your cell phone) during this action to ask them to support the DREAM Act 2017.